We have tasty food during both OpenFest days. Street Chefs, Nomad Burgers and Mandzha Van will take care of breakfast and lunch, and Kolichka Bar provide great coffee on both building floors. Coffee from Kolichka Bar and water from Pure Water are free of charge. 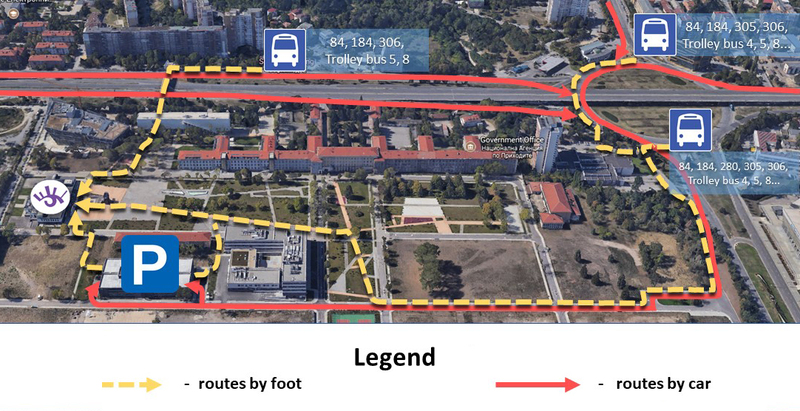 For the first time this year OpenFest is hosted by Sofia Tech Park. The event will take place in the “John Atanasoff” building. 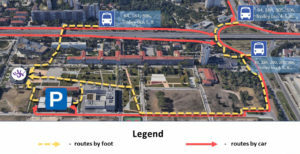 The nearest public transport stop is Sofia Tech Park and the map below outlines the main routes to reach the building. The OpenFest 2017 schedule is ready. This year we’ll listen to interesting talks in the parallel Technical, Civic Hacking, Advanced Technical, OpenBiz, Social and Education tracks, as well as 17 workshops.